Does the Walt Disney Concert Hall dream of electric symphonies? The Los Angeles Philharmonic is celebrating its centennial this weekend with Celebrate LA. That’s a free, eight-mile street party connecting Walt Disney Concert Hall and the Hollywood Bowl. There’s also an art spectacle on the billowing metal sails of the Walt Disney Concert Hall itself. WDCH Dreams is the work of Turkish-born artist Refik Anadol and his team of data visualization specialists. Anadol’s focus in on media art and architecture. His data-driven installations have appeared in cities ranging from Boston and San Francisco to Istanbul and Amsterdam. “I believe every space, every available architecture, can be a canvas for media artists,” he said. For the project, he mined a massive treasure trove of digital archives culled from the LA Phil’s history -- audio, video, photos and more, amounting to nearly 45 terabytes of data -- and worked with the Artists and Machine Intelligence program at Google Arts and Culture to turn these millions of data points into beautiful, flowing, brightly-colored displays that will be projected onto the steel shell of the concert hall. “Archives are divine information for humankind where the cultural artifacts and memories and emotions are stored,” Anadol said. Other parts of the show include video clips of past music directors -- including Esa-Pekka Salonen, André Previn, Zubin Mehta, Gustavo Dudamel and others -- waving their conductor’s batons while the orchestra plays. The images dissolve into each other, they way they might in a dream. 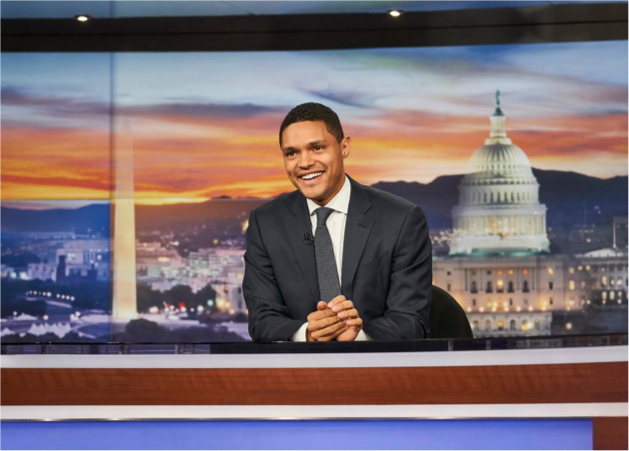 The show is 12 minutes long, and there will be a performance every half-hour, starting at 7:30 pm with the last one at 11:30 pm, from September 28th to October 6th. 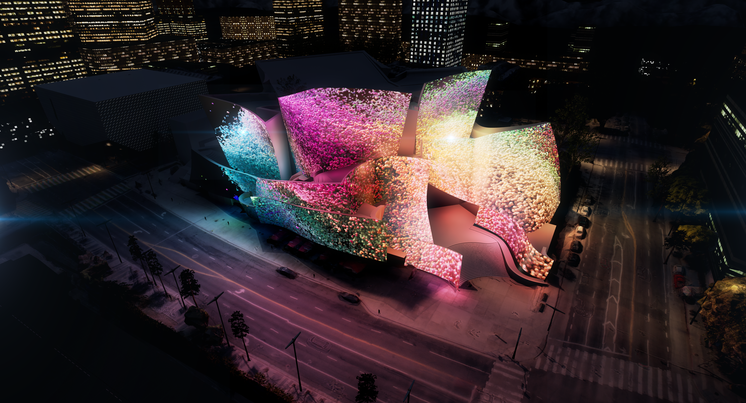 Anadol’s aim was to create something new in image and sound that combines the virtual and the physical, and brings forth the metaphorical “consciousness” of Walt Disney Concert Hall. It's almost like he's plumbing the memories of the building and the dreams are surfacing to the top. 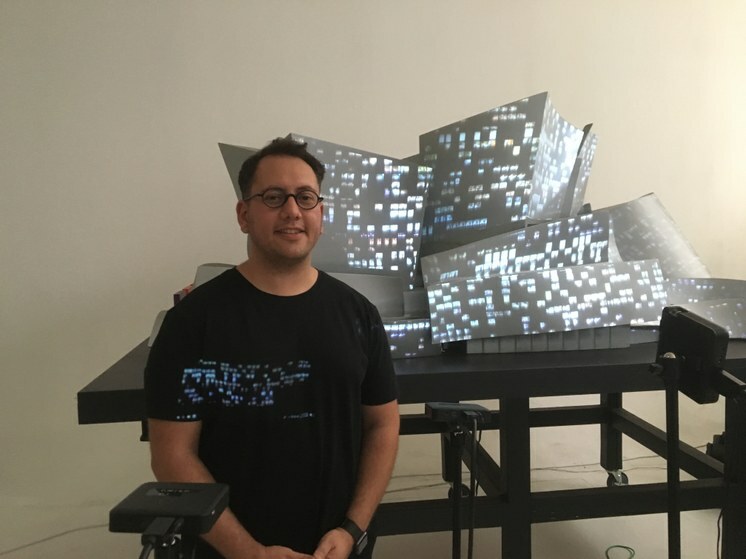 Data artist Refik Anadol at his Silverlake studio, in front of a model of the Walt Disney Concert Hall. Photo by Avishay Artsy. It also fulfills architect Frank Gehry’s vision for the concert hall. He had dreamed of having images projected onto those surfaces, and WDCH Dreams was made possible because Gehry shared the 3D files of the building with Anadol, so he knew the exact contours of the building. WDCH Dreams is also the latest in a series of Anadol’s site-specific collaborations with the LA Phil. After a multimedia presentation of Edgard Varèse's Amérique in 2014, in which Anadol used algorithmic sound analysis to listen and respond to the music in real time, he says Gehry congratulated him in the green room. Visitors to the Walt Disney Concert Hall can continue their exploration of the LA Phil’s digital archives in the Ira Gershwin Gallery, with an immersive and interactive companion installation that can be accessed 90 minutes prior to performances. 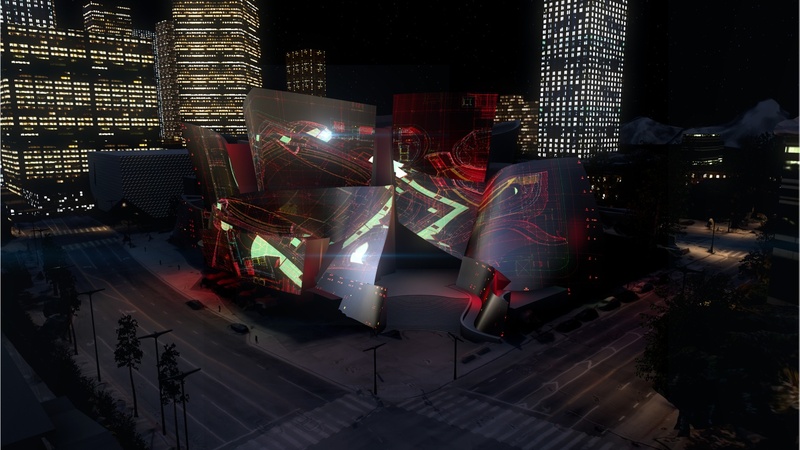 The visitor will enter a mirrored U-shaped room with two-channel projection and can use a touchscreen interface to explore milestones in the LA Phil’s 100-year history. The LA Phil’s archives and online exhibitions will also be available on Google Arts & Culture. There’ll be behind-the-scenes footage and a short film about the development of WDCH Dreams. Lawrence Azerrad visits KCRW to discuss his new book “Supersonic: The Design and Lifestyle of Concorde.” Photo by Frances Anderton.